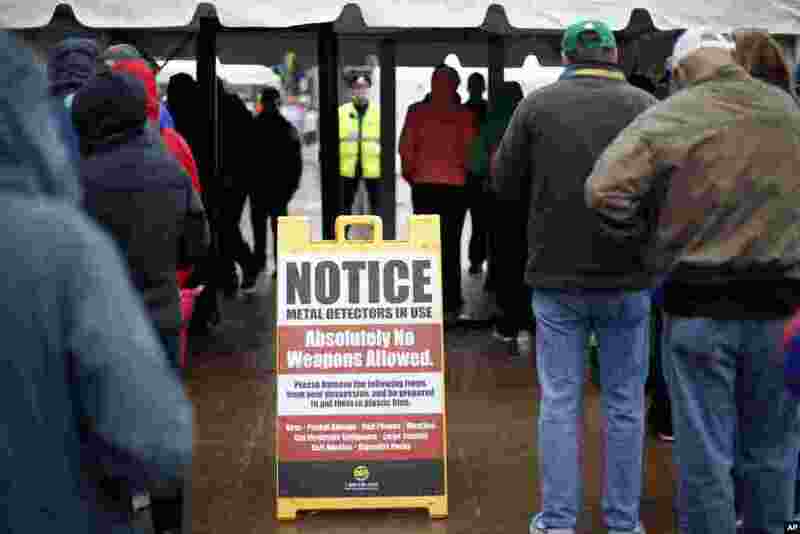 Tens of thousands of spectators cheer marathoners along the streets of this northeastern Massachusetts city, home to the world’s oldest annual marathon. 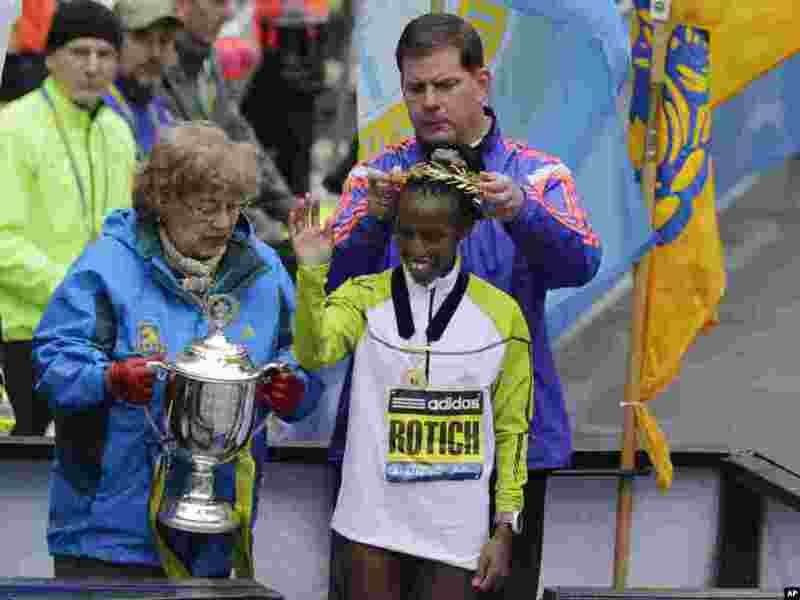 1 Boston Mayor Marty Walsh crowns Caroline Rotich of Kenya, after she won the women's division of the Boston Marathon, April 20, 2015. 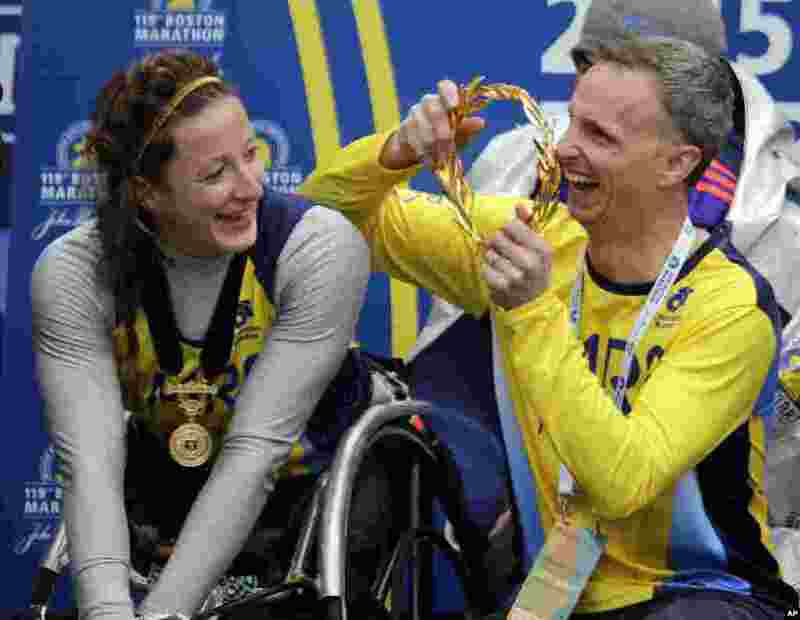 2 Bill Richard, father of 2013 Boston Marathon bombing victim Martin Richard, prepares to put the victor's wreath on women's wheelchair division winner Tatyana McFadden of Russia, at the Boston Marathon, April 20, 2015. 3 Ethiopian Lelisa Desisa lifts his trophy after winning the Boston Marathon for the second time. Desisa won the marathon two years ago, donating the medal to the city of Boston in memory of the bombing victims, April 20, 2015.